What if artists painted their life on canvas and musicians played their life on stage? It would have always left one wondering how honest or fair the tellers were. Well, leaving all such scepticism aside, Anupam Kher’s Kuch Bhi Ho Sakta Hain, directed by Feroz Abbas Khan, staged during the Vodafone Odeon Theatre Festival was entertaining if not anything else. Strategically or not, the audience were almost taken on the stage ~ breaking the fourth wall. 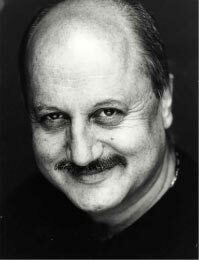 The play did not have a beginning or perhaps it began long before people realised, when Anupam Kher sauntered through the audiences talking to them and cracking jokes. He enters the stage and the play officially began. More like an acknowledgement before the beginning on a story. As Kher moves from one episode to another of his life, his narration is assisted with audio-visual clips from his movies, those made by others, Dilip Kumar and even santoor player Shivkumar Sharma, who was listed as a guest in the characters of his story. The simplistic stage had another stage set up on it, music to go with the mood changes, everyday props and an audience to clap on every step that Anupam Kher took was the recipe for the entertainment package that did not let people’s mind wander even for a moment. The audience remained jovial and they clapped even when the actor was reliving some of the most tender moments, when he put forth his angst and when his words were anything but funny. “Raja humesha gora hua karta hai” (Kings are always fair), the eyes of the first love when she visited Kher with her husband and her son ~ the terror not from the prospect of Kher telling her husband about their first kiss, but of the glitter that may have made Khar forget the moment shared with her, and the clerk of the court ended up being a farce. Blessed be the people who were not deafened by the claps and the whistles and sensed the irony. After watching the play one also wonders why when the two lady loves surfaced in the play, his broken marriage was kept off screen and when the movie Saraansh was mentioned repeatedly, Daddy was obliterated. If indeed the play was akin to a biography, the biographer has the choice but perhaps the selection could have been better. Nevertheless, the play served the appetite of the viewers right and Kher left with bag full of applauds. Kuch Bhi Ho Sakta Hain is certainly not a “play” worth watching but an entertainment programme that should not be missed.